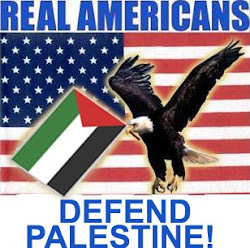 The United States of America must be liberated from the political and cultural Zionist occupation which enslaves our elected officials, our religious leaders and the media gurus who filter our news to promote their homicidal agenda. Syria: Popular Uprising or Another Victim of Western Interventionism? While the world is rightfully decrying the continued slaughter of Syrian protesters by their own government, it is tempting to dismiss that troubled nation as just another stubborn domino in the “Arab Spring.” It is tempting to boldly join the chorus calling for the removal of President Bashar al-Assad and his regime from power. It is tempting to describe the whole bloody situation as a tragic but necessary popular rebellion against an oppressive dictatorship. Yet the circumstances surrounding the Syrian uprising differ starkly from coups which have taken place in Tunisia and Egypt, as well as the unrest in Bahrain and Yemen. Bashar al-Assad is not considered by most to be a western puppet, at least not in the same league as Ben Ali of Tunisia, Egypt’s Mubarak or the still ensconced King Abdallah II of Jordan. Assad never signed a peace treaty with Israel and remains an open critic of both the Jewish State and the United States. However, his predictability served western and Israeli interests for a time. Ayman al-Zawahri, al-Qaeda’s new leader, alluded to this in a warning to Syrian protesters: “America, which cooperated with Bashar al-Assad during his whole regime, claims today it stands with you…Washington today seeks to replace Assad, who sincerely protected the borders of the Zionist Entity, with another regime…that follows America.” Al-Zawahri’s statement is right on both counts. Since the Israeli military captured Syria’s Golan Heights in 1967, there was only one attempt in 1973 to take back the land. The Israeli government has been building settlements in Golan since the 1970’s and officially annexed the territory in 1981. On May 15, 2011 the Israeli military opened fire on protesters marching towards the village of Majdal Shams in the Golan Heights, killing four and wounding an additional 20. There was no retaliation from Syria, save for some typically blow-hard rhetoric. Syrian bullets were saved for use on their own people. Retired Army General and former Democratic presidential candidate Wesley Clark has made numerous public addresses relating his conversation with a Pentagon officer in the weeks following the September 11th attacks. The unnamed officer informed him of a plan to “take out” seven countries in five years: Iraq, Somalia, Sudan, Syria, Lebanon, Libya and Iran. However, it is no secret that U.S. involvement in the region goes back much farther. In 1976, Syria saw a rebellion by Sunni militant groups including the Muslim Brotherhood against the regime of Hafez al-Assad. Rifaat al-Assad, brother of the late Syrian President and uncle to Bashar, personally oversaw the Hama massacre in 1982 during which an estimated 15,000-20,000 people were killed, effectively ending the uprising. While catastrophic in terms of human loss, the tragic consequences of the Hama massacre did not end in 1982. The father of a family friend “disappeared” at that time, along with thousands of others: victims of mass detentions and indefinite imprisonments. His whereabouts was not known until 2003, when it was discovered that after 15 years of torture, he had died in prison in 1997. Rifaat served as Vice President of Syria before going into exile after an internal succession dispute. Despite committing war crimes, he currently lives in Mayfair, England where he enjoys the support of the Saudi royal family. It is Rifaat al-Assad’s son, Ribal, who confirms U.S. meddling in Syria both then and now. In a September 2010 interview with Robert Fisk, he stated that "Saddam Hussein funded the Muslim Brotherhood; they were trained in Iraq and Sudan. So the Baath party decided that those in the Muslim Brotherhood were traitors." Partially declassified documents regarding then presidential envoy Donald Rumsfeld’s December 1983 meeting with Saddam Hussein confirm the US and Iraq’s common enmity towards Iran and Syria and the need to contain them. Apparently destabilizing Syria had been in both nations’ interests; the Muslim Brotherhood largely responsible for the coup attempt within Syria was trained by Saddam who in turn was receiving funding from the USA for the Iran-Iraq War in that same time period. Ribal founded the Organization for Democracy and Freedom in Syria (ODFS) and directs Arab News Network based in London, broadcasting via satellite from Morocco to Iran. In the same Fisk interview, he stated "My father left Syria because he didn't want bloodshed. A 'coup' means dictatorship and dictatorship breeds corruption and corruption breeds terrorism. We are campaigning internationally for a new Syria.” Such rhetoric and use of foreign media is a manifestation of the destabilization plan quoted in Haaretz. Ribal’s pet causes are promoting interfaith dialogue, a two-state solution for Palestine and vilifying Iran. In a speech to London’s Rotary Club, he accused Iran of aiming to “create instability in the region by fueling conflict in Iraq, Lebanon, Gaza, Egypt and Afghanistan.” Such jargon has undoubtedly made him the darling of the West—who is perhaps grooming him to head “the replacement regime” to which Al-Zawahri referred in his speech. Other anti-Bashar figures are equally shady. Clearly, the opposition—at least the safely foreign-based contingent—has no more interest in stopping the bloodshed than the regime they so despise. While supporting the current Syrian regime is incomprehensible, still more irresponsible is demanding the ouster of Bashar al-Assad when the only likely replacement is a war criminal, another western puppet or both. Another Attack on Gaza: Retaliation or Genocide? The latest round of atrocities unleashed upon Palestinians proves yet again that the Israeli government is a homicidal opportunist. Instantly, the problem of mass demonstrations deploring increased cost of living and other economic issues plaguing the Jewish State was solved by rallying Israelis behind the one issue they all seem to have in common: the singular desire to annihilate Palestinians. If that assessment seems harsh, or unfair to Israeli peace activists, it certainly rings true of broader Israeli society. Joseph Dana, a Tel Aviv-based writer and journalist spoke with Aljazeera regarding the protests, which according to him, were mute regarding the Israeli occupation of Palestine. “The sad reality is that if Israelis discuss Palestinian rights and specifically the rights of Palestinians under Israeli occupation, they very quickly lose public support,” he stated. It is rather sinister that 81 members of our Congress just spent a week in the Jewish State, meeting with Israeli officials at taxpayers’ expense; days later, Gaza is attacked. It is quite probable that the strikes were carefully coordinated while conveniently, world focus is on Libya and Syria. However, even if armed groups from within Gaza were responsible for the Eilat attacks, retaliation of this sort for a blockade that has led to the deaths of untold thousands is certainly understandable. The siege of Gaza, subsequent incursions and almost daily shootings of civilians for straying too close to the “buffer zone” are acts of war in themselves, thus warrant reaction. Israel’s 63-year campaign of mass murder and ethnic cleansing against the Palestinian people is neatly packaged as “retaliation” or “self-defense” against “mortars fired by Palestinian militants” or the hackneyed “homemade rockets.” Mysteriously, the media never reports on these mortars or rockets until Israeli forces “retaliate” for them; then it serves as an excuse for continued genocide. Maybe it would not do any good to list their names and ages, anyway. After all, Mahmoud Abu Samra is just another Arabic name which the majority of news anchors could not pronounce correctly. At 13 years of age, his bright eyes and infectious smile were memorialized momentarily on a few social network pages, then joined the sea of images of dead Palestinian children: all victims of a 63-year genocide endorsed by most of the world’s nations. While the Israelis have seemed to scale back their plans for an all-out assault on Gaza for the moment, perhaps waiting for a more politically opportune time, it is important to remember the word “retaliation” can only be applied to the reactions of Palestinians—whatever form they may take—to the death, destruction and humiliation visited upon them daily. If the word “retaliation” is used to describe military operations or draconian economic embargoes carried out by the Jewish State, it must be understood that this is a euphemism for genocide. Arab and Muslim Advocacy Groups: Whose Side Are They On? The celebration following President Obama’s announcement that Osama Bin Laden was killed by a team of Navy Seals and his body dumped in the ocean was predictably raucous: the mentality of the celebrants identifying them as the same people who still believe 19 hijackers brought down the Twin Towers in the first place. From drunken college kids to old biddies, the simple-minded euphoria spread with no questions asked as to why the story of the operation into Pakistan changes with every passing minute, the real reason as to why no photos were released, the un-Islamic disposal of the body—or bodies—the lack of dialysis equipment in the compound (Bin Laden allegedly suffered from kidney disease) and most importantly, why an unarmed man was shot in front of his family without benefit of an arrest or trial. Over one-third of Americans do not believe that Bin Laden was the perpetrator of the 9/11 attacks, well beyond the “shadow of a doubt” necessitating acquittal in a court of law. "We join our fellow citizens in welcoming the announcement that Osama bin Laden has been eliminated as a threat to our nation and the world through the actions of American military personnel. As we have stated repeatedly since the 9/11 terror attacks, bin Laden never represented Muslims or Islam. In fact, in addition to the killing of thousands of Americans, he and Al Qaeda caused the deaths of countless Muslims worldwide. We also reiterate President Obama's clear statement tonight that the United States is not at war with Islam." If the United States is not at war with Islam, someone needs to explain why over 1 million Iraqis are dead, in a country known to have had nothing to do with 9/11. If there is no war on Islam, why—after Bin Laden’s alleged demise—do we now have the capability of flying 54 Predator drone missions at a time, with a goal to increase that number to 65 round-the-clock missions by 2013? In fact, drones have not abated in their slaughter of innocent civilians in Waziristan since Bin Laden’s death. Drone attacks have expanded into Yemen, as seen in a recent botched attempt to murder Sheikh Anwar al-Awlaki, whose only apparent crime is to have e-mailed Army Major Nidal Hassan, the Ft. Hood shooter. The strike resulted in the deaths of two Yemenis. "We hope this is a turning point away from the dark period of the last decade, in which bin Laden symbolized the evil face of global terrorism. His actions and those of Al-Qaeda have violated the sacred Islamic teachings upholding the sanctity of all human life. His acts of senseless terror have been met with moral outrage by Muslims worldwide at every turn in the past decade." Cast a shadow of suspicion? Who are they kidding? Muslims and Arabs have always been portrayed as terrorists in movies and television, years before 9/11. I recall watching then CBS anchor Dan Rather as those nightmarish events unfolded and he advised us “caution” when placing blame. Why did he say that? Because the first thing that came to everyone’s mind was Muslim hijackers. And “heroes?” We’re talking about a group of guys who, by the government’s own convoluted admission—threw grenades into a house full of women and children and shot unarmed people. It is imperative that Arab and Muslim advocacy organizations start fulfilling their purpose instead of being lockstep with the U.S. administration. It is their responsibility to speak out, condemning in the strongest terms the aggression with which the U.S. has attacked Muslim countries since 9/11, and to hold the government and media accountable for the false statements, half-truths and blatant lies which allow such aggression to continue. Goldstone’s waffling diatribe in the Washington Post—although hardly the “retraction” of his report so heralded by the pro-Israel camp—should not have come as a surprise. Given the amount of Zionist pressure put on Goldstone, it is a wonder that his backpedaling took so long. He was blackballed throughout the international Jewish community, even prohibited from attending his own grandson’s bar mitzvah. It would be difficult for anyone to bear the extraordinary pressure wielded by such a powerful concerted effort and Goldstone must have been particularly susceptible because he was—and is—a self-described Zionist. Granted, in light of his initial report alleging Israeli war crimes, he could be labeled a “soft Zionist,” but a Zionist nonetheless. I submitted the following to Smithsonian Magazine in response to the misleading information contained in "Sifting Sacred Ground." In his article, “Sifting Sacred Ground,” Joshua Hammer focuses on the culpability of the Islamic Waqf in removing soil containing potential archeological discoveries during a pre-approved construction project at Jerusalem’s Nobel Sanctuary/Temple Mount. He twice mentions early Christians allegedly using the site as a garbage dump. However, Hammer fails to acknowledge the numerous harmful excavations Israeli authorities have conducted adjacent to Al-Aqsa Mosque, Islam’s third holiest site. From 1970-1979, digging was done directly beneath Al-Aqsa, resulting in the opening of a tunnel under the women’s prayer area. In a separate incident, Israeli engineers measured a slight movement in part of the southern wall, as reported by Abraham Rabinovich in the Jerusalem Post (1996). Contrary to a 1929 document in which Waqf historian Aref al Aref confirmed his belief in the existence of Solomon’s Temple, Muslims have historically referred to it as al-haikal al-mazaoum (the alleged structure). Readers would have benefited from a more accurate and balanced picture of the history and controversy surrounding the Nobel Sanctuary/Temple Mount had Hammer talked with as many Muslim academics as he did Jewish scholars. I found Hammer’s usage of “warren,” to describe an Arab housing area particularly offensive, connoting Palestinians are akin to wild rabbits and that Israelis performed a service by demolishing the homes to create a plaza. In actuality, this is a grave breach of the Fourth Geneva Convention (Article 147). The quote "A toothbrush would be too large for brushing that soil, and they did it with bulldozers," attributed to Israeli historian Eyal Meiron must have been paraphrased from an earlier quotation by Gabriel Barkai of the Committee Against the Destruction of Antiquities on the Temple Mount, who was originally cited in a 2007 BBC article. Finally, the idea that the Waqf has ultimate jurisdiction over the Nobel Sanctuary/Temple Mount is misleading. During a visit to Jerusalem in 2001, I was prohibited from entering the area by Israeli soldiers who informed me it was "closed to tourists." It was not on a Friday or Islamic holy day; they were merely arbitrarily refusing to let in visitors. The process continued months later when I went to the Jordan Hospital in Amman and visited a child who had been blinded in an Israeli attack. In the same place, I saw the life ebbing away from Taha Abu Snineneh, a young man who was also a victim of Israeli fire, enduring weeks of machines working his vital organs for him before finally passing away. 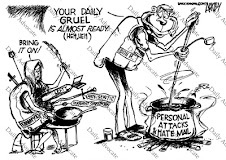 I felt still more marginalized, when, like so many others in the wake of the 9/11 attacks, I was the victim of harassing phone calls and requests for a meeting with unidentified government officials from “the Defense Department” and later in 2007 when two FBI agents showed up at my door to ask me about my “connections” with Hamas. So there you have it, Mr. King. Radicalization has nothing to do with Islam. It is a reaction: a testimony to the human spirit that we will only take so much adversity, alienation, social exclusion and injustice before demanding fundamental political, economic and social reforms by direct and uncompromising methods. Two dictators gone in less than a month. Mass protests from Yemen and Bahrain to Algeria and Libya. In Lebanon, Hezbollah—due to a broad coalition of Muslim, Christian and now Druze support—named the country’s new Prime Minister. Iranian President Mahmoud Ahmedinejad hailed these recent developments as the start of “a new Middle East free from U.S. and Israeli interference.” Somehow I doubt this “new Middle East” is what then Secretary of State Condoleeza Rice envisioned when she was having her infamous “birth pangs” in 2006. The predictable hypocrisy contrasting US reactions to the demonstrations in Egypt which toppled Mubarak as opposed to those that transpired in Iran after Mahmoud Ahmedinejad’s re-election illustrates that “democracy” is only to be lauded when the movement is pro-Western. In a Muslim society, that means it has to be “moderate” and friendly to Israel. Rather than focusing on the reforms that will hopefully benefit the beleaguered citizens of these erstwhile U.S.-backed dictatorships, Western discussions of the various revolts are dominated by fears of “Islamic fundamentalist takeovers,” propagated by Israeli paranoia. Precious time and resources are spent attempting to placate the Jewish State. In fact, it was this very desire to protect Israeli interests that led to the establishment of Western puppet despots throughout the Arab World in the first place. Of course the Israeli military juggernaut has nothing to fear, but everything to gain from playing the victim, which they have done so well for almost sixty-three years. These quintessential opportunists are indeed capitalizing on this unprecedented upheaval. Israeli reactions have ranged from trepidation to outright panic that the new Egyptian government may not uphold the peace treaty with the Jewish State after “radical Islamists” like the Muslim Brotherhood take over. Islamic scholar Imran Hosein predicted in 2003 that one day Arab dictatorships would be swept away, leaving the people to think they were going to have a legitimate representative government. He stated, “It is in this scenario that Israel will say ‘we have to do something; if we just sit here and do nothing, the State of Israel will be destroyed and the Jews will all be slaughtered,’” precipitating a “pre-emptive strike” of unprecedented proportions. On the contrary, Egyptian officials have been a little too quick to assert the peace treaty between that nation and the Jewish State will remain intact. Press TV reported that according to an Israeli spokeswoman, Defense Minister Ehud Barak talked with Head of Egypt's Higher Military Council Mohamed Hussein Tantawi by telephone two days after Hosni Mubarak was ousted from power. The Egyptian military leadership said it would respect all the country's international treaties, including the peace pact with Israel. As we have seen this past month, it is ultimately the people who will effect positive change in the reason. Corrupt governments must be brought down and bodies such as the United Nations must be discredited as counterproductive wastes. Where else could some 120 nations co-sponsor a resolution condemning Israeli settlements in the West Bank, only to have their voices canceled out by one nation, the very one funding the illegal occupation of Palestine? Such travesties of international law will no longer be tolerated as momentum gains for demonstrations against these settlements and the boycott and divestment campaign of the Zionist State itself. It is encouraging to see the preliminary reports that Egypt will allow two Iranian ships to transit the Suez Canal and open the Rafah border crossing with Gaza, at least for humanitarian purposes. These are hopeful indications of, as President Ahmedinejad said, “a new Middle East, free from U.S. and Israeli interference.” Only after that interference disappears for good can there be hope for justice and peace in the region.